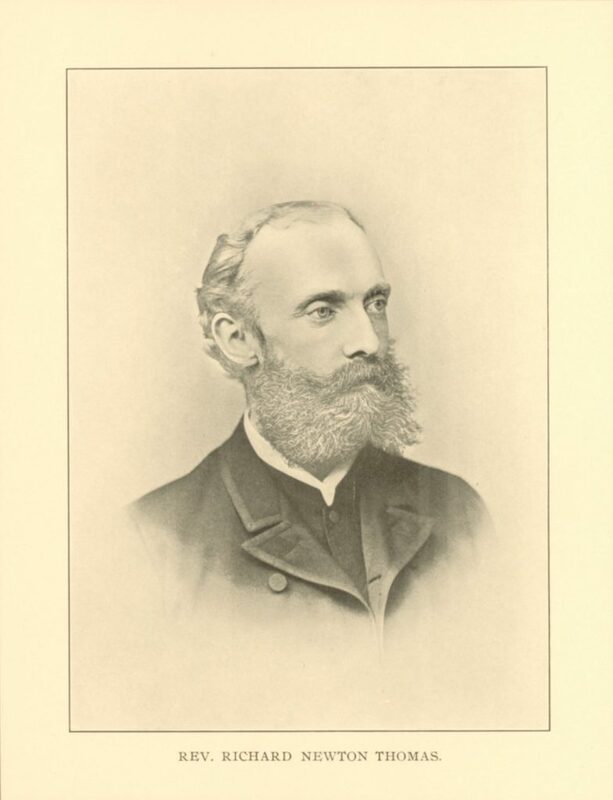 Richard Newton Thomas was born in Philadelphia on September 9, 1844, the son of John W. Thomas and Keziah S. Atkinson. Thomas entered the University as a freshman in the Class of 1865. As an undergraduate he was a member of the Philomathean Society, treasurer of the University Glee Club and of the Class of 1865, and a lieutenant of the University Light Artillery. He was also first honor man and took prizes in mathematics and Greek. The University awarded him an A.M. degree in 1868, the same year he graduated from the Philadelphia Divinity School. As an Episcopal priest, Thomas served St. Matthias Church, Trinity (Marylandville), and St. Phillip’s Church, all in Philadelphia. He was also for many years the editor of the American Sunday School Magazine. Thomas died in Philadelphia on June 2, 1905. He and his wife, Clara L. Horstmann, had a son, Walter H. Thomas, who graduated in the Class of 1899.